Tom, is an AV-rated lawyer and a Certified Legal Specialist in Estates and Trusts in the State of Arizona. He is a Private Fiduciary in Arizona. He is a member of the National Academy of Elder Law Attorneys, Caballeros del Sol, Knights of Columbus and Business Information Club (as well as a past president). 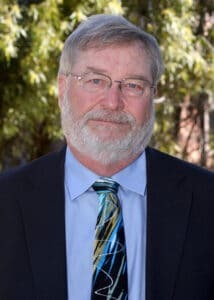 He has served on the Board of Trustees of St.Gregory College Preparatory School and the Board of Directors of the Pima County Bar Association (also served as its Treasurer). Other activities include serving as a member of United Way’s Supporting Seniors Impact Council and he holds a private pilot license. Tom’s Juris Doctorate is from the University of Arizona, Tucson, AZ. He also holds a Masters Degree in Public Administration from the University of Wisconsin, Madison, WI, where he was a LaFollette Fellowship recipient, and a Bachelor of Science in History and Political Science (with Honors) from the University of Wisconsin, LaCrosse, WI. Tom was married on February 14, 1981 to Lois K. Curti and they have three sons: Christopher (Rosanna), Andrew and Stephen.